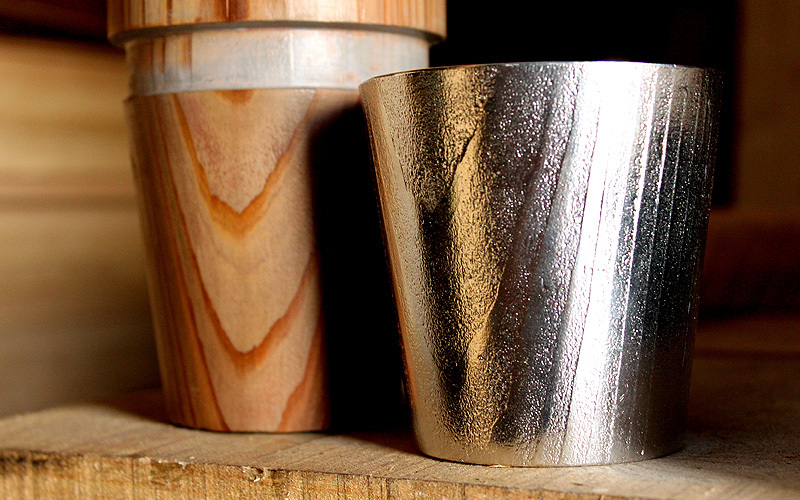 Casting Japanese cedar finished with UZUKURI brush, this tumbler is delicately textured with a pattern of wood grain. 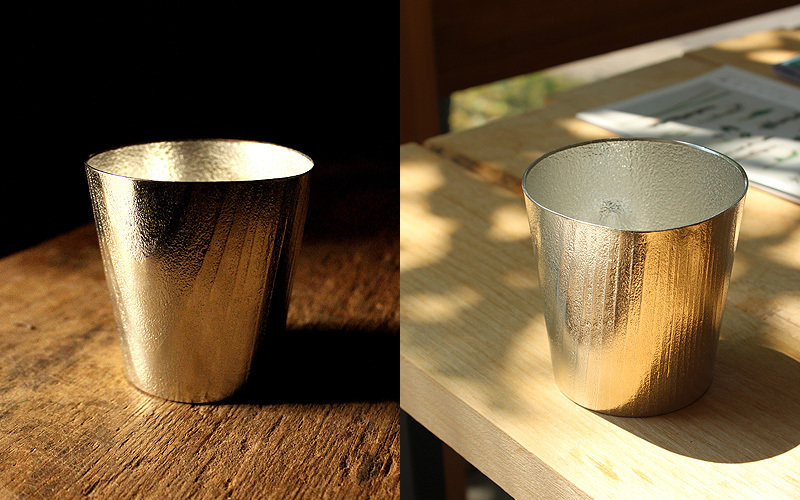 In collaboration with NOSAKU with traditional casting techniques, it is made with woodworking tradition emerged on the surface. 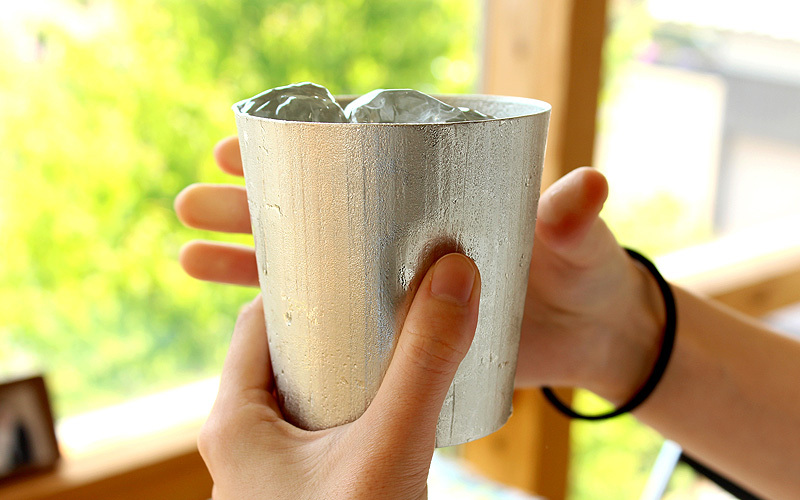 Pure tin ware with amazing flexibility gives drinks mild taste. Its dent for your thumb lets you grip it with a satisfying hold.